YES! And you’ll never believe how NICE it is. You’ll notice that there are two different colors – that’s because there are two different soaps here. 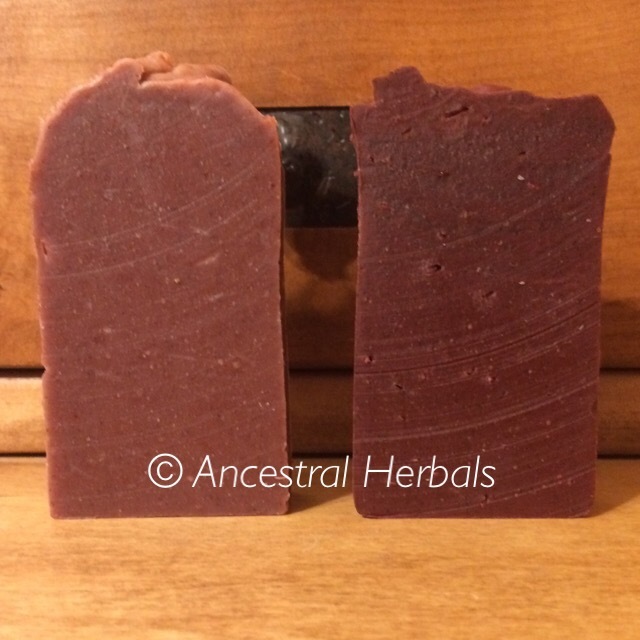 The lighter soap is made with Merlot and can be used as a solid shampoo. The darker soap is Cabernet and has a lot of clay in it – it can be used for shaving! The intoxicating scents are from essential oil/phthalate-free, paraben-free fragrance oil blends.